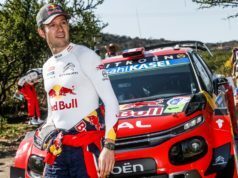 The fight for 2018 FIA World Rally Championship (WRC) drivers’ and manufacturers’ titles will be settled at the season finale in Australia in mid-November after an exhilarating Rally de España caused another shift in the championship battles. Thierry Neuville lost the leadership in the general standings to Sebastien Ogier. Dani Sordo was fifth helping the team to close the gap in the thrilling manufacturers’ title fight. 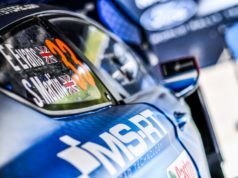 Hyundai Motorsport is now just 12 points behind leaders Toyota Gazoo Racing, but only 13 ahead of a resurgent M-Sport Ford, meaning the championship chase will go right down to the wire in Australia. “It was a crazy and intense rally, which summarises the highly competitive nature of this entire championship. I am obviously disappointed not to have had the chance to finish on the podium and to score valuable extra points in the Power Stage. We were unlucky; there was a stone in the road that I couldn’t avoid and it damaged the right rear wheel rim. [On Saturday], we caught back up with the front-runners by taking some risks”, Neuville said. At the end, he was not entirely happy with the weekend and his result. “But at the same time, I’m not too disappointed. We have lost some time over the rally due to difficult tyre choices but it’s not been an easy event to read from a strategy point of view. I have done my best and also set some competitive stage times too, so it’s not all bad. We were in the fight right until the end and it was definitely an exciting rally for all of the fans. 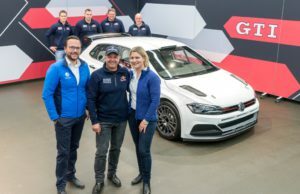 As always, it’s a pleasure to compete in my home rally and I hope we have given the spectators the entertainment they have become used to watching”, Sordo explained. “Once again, we have not come away with the result we were expecting or know we are able to achieve, but we’ve tried our hardest. I can’t quite explain why the feeling or the pace is not there. The final stages allowed me to get some drier running and to try out a set-up that worked well in testing. It still wasn’t perfect so we just have to keep working to unlock whatever is missing. It’s been a tough rally with changing weather conditions, as well as gravel and tarmac stages, so not at all straightforward. We have to keep our heads up and put our full effort into the final round of the season in Australia and to support the team and Thierry as best we can”, the Norwegian commented.